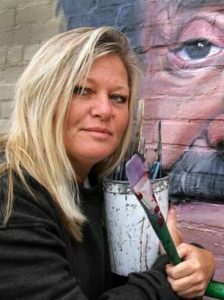 Over 30 international artists, including Indiana’s own Pamela Bliss, will exhibit their personal artworks January 26th through February 16th. Certified works of art, including works by creator and director of the film Dorota Kobiela will be stamped and presented with certificates of authenticity. Most works will be for sale. More than 65,000 frames were painted by 125 international artists to produce the film. Now see some of their own works. “Loving Vincent” has received a Golden Globe nomination along with eight film awards and 34 other nominations. It is rumored to receive an Oscar nomination. Film DVDs will be for sale. Pamela Bliss will be available for signing. The reception will take place Friday, January 26th from 7:00-9:00 PM at the Kurt Vonnegut Museum and Library — 340 N. Senate Ave. in Indianapolis. You MUST respond by January 22nd to LeonardosArt@Yahoo.com.